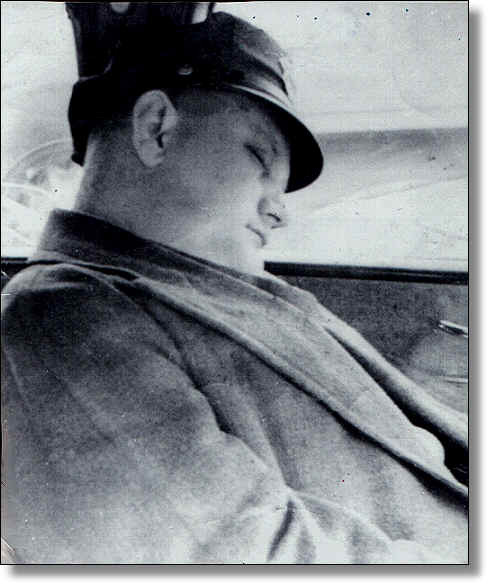 This picture was taken circa 1945 of Barney "Peg" Carter, who worked in the Draper section of the Police Department. It probably was the Leaksville Township Police at the time. "Peg" was later deputy with the Sheriff's Office when Len Worsham was Sheriff, and was mostly known for being partners with Monroe Stoltz in the Sheriff's Department. After retirement he worked as a fireman.